The Inkspirations colour pallet this week is so sweet!! I covered the top of the cupcakes and cherry with crystal effects but you can't really see that in the pictures very well. What a sweet card! I love the shine! 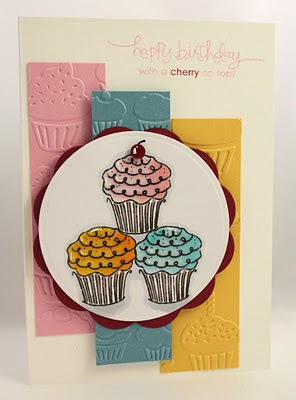 love this card, and love that embossing folder with the cupcakes on it, hmmm may have to hunt that one down lol, love the shinyness of the cupcakes too. Love it...what a great "happy and yummy" looking card to give or to get! YUMMO! 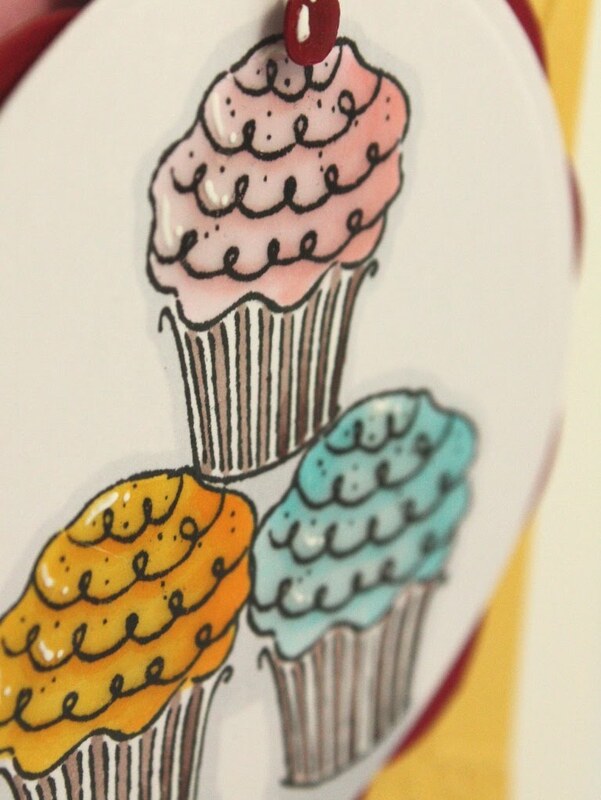 These colours look great in cupcakes - love your card you clever chickee. What a great card, Trish! The embossed cupcakes look so cute paired with the stamped cupcakes. Gorgeous! Wow, what an amazing card. This is simply beautiful, every detail; the layout, the embossing and those cute, cute stamps. And such a perfect sentiment to finish it off. Gorgeous inspiration. 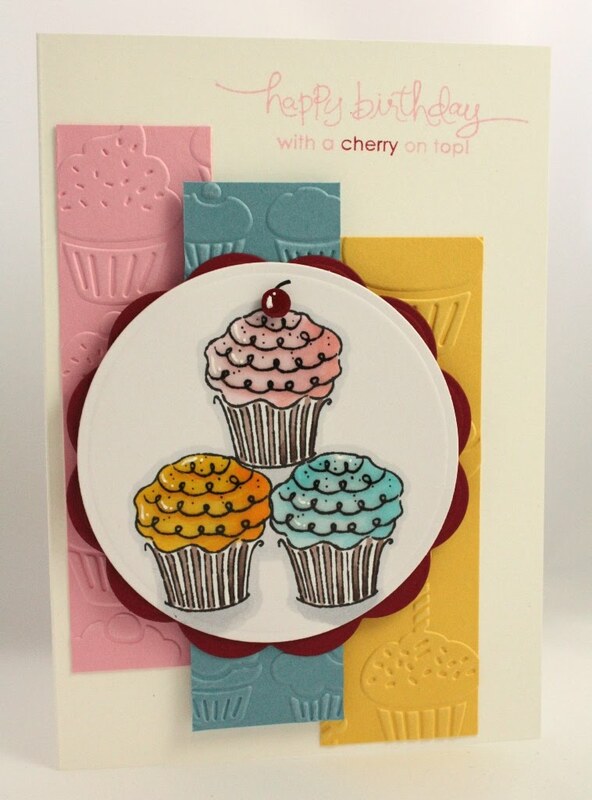 That is such a great card, the cupcakes are cute & the 3 pieces of cardstock with he embossing look fantastic. Congrats! Congratulations on winning the challenge, I had a feeling you might. Your card was just beautiful.